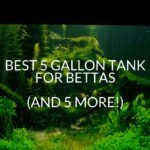 If you’re interested in planting some java ferns in your betta tank then keep reading! You’ll find out everything you need to know. And you’ll also learn why it is that bettas love them so much! 2 What Do Java Ferns Look Like? 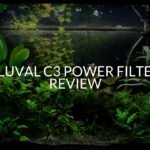 3 Why Do Bettas Like Java Ferns? Java ferns are a type of plant native to southeast Asia (also where bettas come from). But they’re not strictly aquarium plants. In fact, java ferns can grow in and out of the water. They’re leaves spring from the rhizome, which when split in half can be used to propagate and grow new plants. What Do Java Ferns Look Like? Before buying a java fern you should make sure you know what it looks like. Its name is similar to java moss, but the two shouldn’t be confused. While they are both easy to grow, java moss can grow out of control a lot quicker than java ferns can. It’s more than likely that you’ve seen java ferns before. They look like a multitude of green sword-shaped leaves. However, the shape can often vary depending on the breed of the fern. They can also come in a variety of different shades of green. This mostly depends on the type of plant as well as how much light they get! And don’t worry if you begin to see black veins or spots on your java fern. This isn’t a bad thing. Instead, it’s a sign of maturity. Java ferns can also grow to be quite large depending on the breed. A standard java fern can grow to be 13.5 inches high and 6-8 inches in width. This is one of the reasons it’s not recommended to keep java ferns in tanks smaller than 10 gallons. 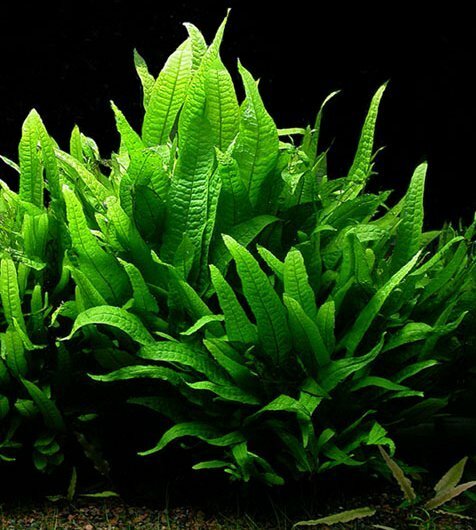 Some common types of java fern are narrow leaf java fern, trident java fern, lace java fern, needle java fern, and windelov java fern. 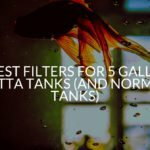 All of them will look great in your tank and all of them have very similar needs. Why Do Bettas Like Java Ferns? Bettas like java ferns for the same reason they like most plants. It gives them a place to hide as well as makes the tank feel more natural. It’s very easy for certain areas of your tank to become a jungle of java ferns. 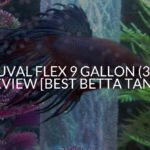 This is exactly what your betta is going to love and it will make him feel more secure. However, make sure if you do this you only limit to one small portion of your tank. Otherwise, you’ll begin to sacrifice your bettas swim space. As well as that java ferns are also going to help remove some of the ammonia from the water. They are a natural harborer of beneficial bacteria. And if you keep all of the water parameters in check an abundance of helpful bacteria will grow amongst the leaves. Looking after the java plants in your betta tank is going to require minimal effort on your part. 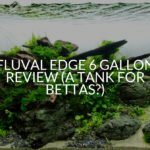 Thankfully the water parameters for both your plant and betta need to be the same for them to thrive. 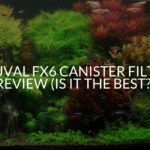 First of all, you’re going to want to make sure that the pH in your tank is between 6.0-7.0 for your java fern. Bettas need a pH of 7 so if you stick to 7 or slightly more acidic then both are going to be happy! Next is the temperature. 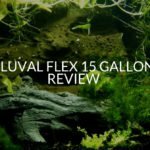 Once again a java fern in your betta tank is going to be a lot more easy to tend to than your betta. An ideal temperature for bettas is 78°F. 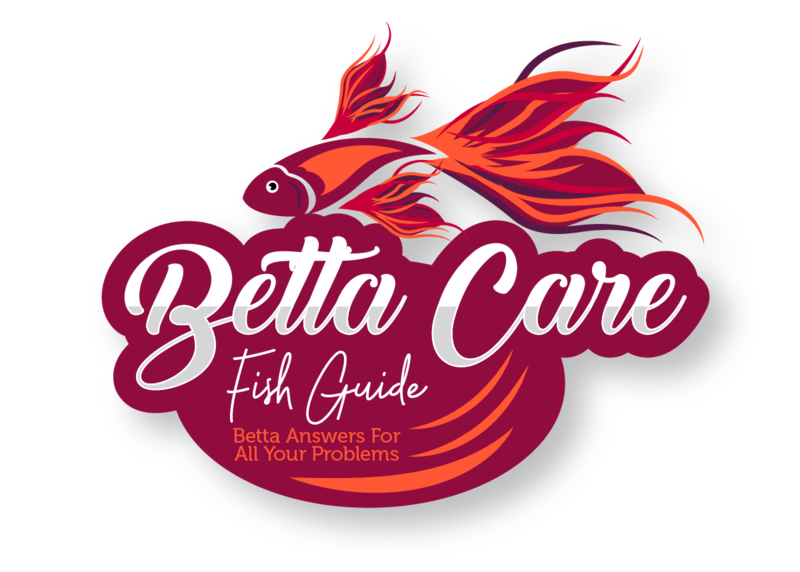 However, as long as the temperature of your tank is between 76-80°F and doesn’t fluctuate your betta will be perfectly happy. A java fern, however, can live in water anywhere between 68-82°F. And the real key to keeping any aquatic life happy is to ensure that the water conditions are stable and not fluctuating. As long as you stay within the perimeters mentioned and keep the water stable, they’re both going to be happy and healthy! Where the Java fern requires a little more maintenance is the lighting. While a lot of plants require strong lighting java ferns don’t. In fact, they will thrive much better in a low lighted tank. This is because in the wild they normally grow in the shade of other plants or obstructions. They’ve gotten so good at doing this that strong light will actually damage them. Java ferns aren’t like regular aquarium plants. In fact, the way you plant them is a lot more similar to java moss. If you try to bury their rhizomes (the base of the plant) in the substrate, then you’re actually going to do more harm than good. Burying the rhizomes will either cause the plant to grow extremely slowly or not at all! Instead, the trick is to attach the java ferns to things in your tank. You do this by tying the fern to what you want with some fishing line, or anything else non-toxic. Once you’ve attached your java fern to whatever it is you want it to grow on, leave it for 4-5 weeks. By this time the rhizomes should have attached strongly enough that they no longer need the fishing line to keep them in place. Remove the line carefully and let the java fern keep growing! There are a few things to remember. First of all, it’s going to be a lot easier for java fern to grow on things that are rough rather than smooth. A piece of driftwood or some rock is going to be a lot easier than plastic or glass. This is because it has more grip. However, it’s not impossible for java fern to grow on smooth surfaces. You just have to be prepared for it to take a while. Make sure you tie your plant somewhere it’s got enough room to spread. You’re not going to want to limit the growth of your java fern to early, so don’t leave it cooped up in one little area it will struggle to grow. And lastly, if you let it over time java fern will grow into a whole forest. Because of this, it’s recommended you put it near the back of your tank or slightly out of the way. 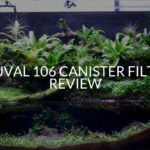 This means you’ll still be able to see what’s going on in your tank but your java fern is still going to have plenty of room to grow. As well as planting java fern onto things you can also let it float freely in your tank. This gives it a very interesting look because the rhizomes will keep looking for something to latch onto and begin to grow down. While letting java fern grow naturally is one option. You can also provide additional care for them if you want as well. 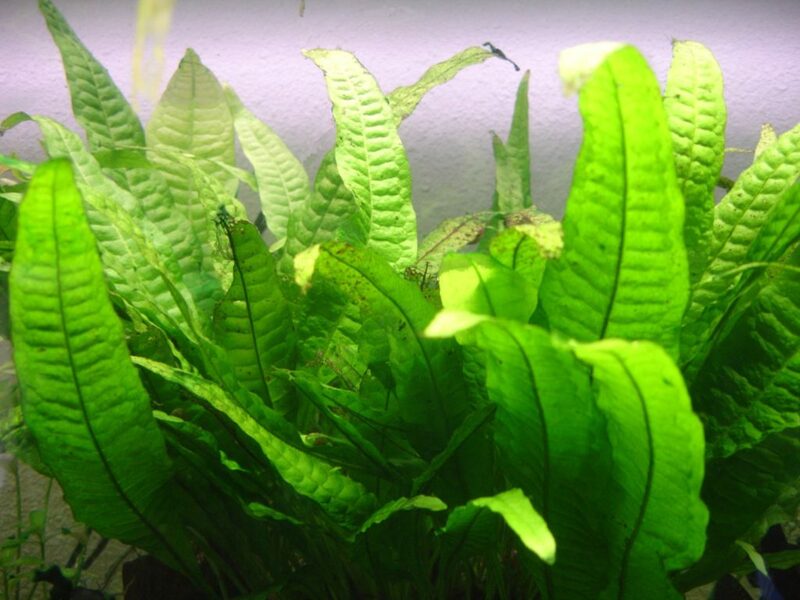 If you’re following the standard care above such as making sure the lighting, temperature, and pH are good, but your java fern isn’t growing enough then you can use fertilizer. While they should grow over time with regular water changes, a fertilizer will speed up the process. Just be sure that when you’re using a fertilizer you know that it’s safe for your betta. The last thing you need is to make your betta sick while you’re helping your java fern grow. Also, don’t be afraid to prune your java fern. If you keep it healthy you’ll only need to do it every few months. However, if you notice that some of its leaves are dying, then you should cut them off, and find out the cause. 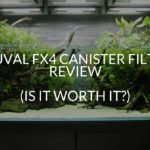 If there’s a lot of algae in the tank then it could be because you’re not cycling your water enough, or your filter isn’t working correctly. If the leaves are going brown or clear then it’s because the lights are too bright. Whatever the cause, sometimes it’s better to cut the dead parts off so the new bits can keep on growing. And lastly, it’s okay to take your java fern out of the aquarium when you need to clean. 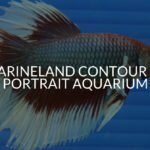 If you do though, make sure you either submerge it in aquarium water in a container or spray it with some aquarium water so it stays moist. Make sure you don’t remove it from whatever it’s attached too. You should take the plant and it’s anchor out together. If you’re new to keeping plants then it’s easy for you to make mistakes or misdiagnose symptoms. So before you think there’s something wrong with your java fern read these common mistakes to make sure. When using java ferns for betta tanks it’s not uncommon to notice no growth in the beginning. The plant needs time to settle into its new water conditions. If after a few weeks there’s still no progress then you should think about adding fertilizer to the tank or performing more water changes. Also, make sure that the lighting isn’t TOO dim either. If you’re unlucky the area you live in just may not have enough nutrients. Just make sure when you pick a fertilizer you pick one that has iron in it. It’s an important mineral for java ferns and without it, their leaves will go from lush green to olive, and then completely black. And on the subject of black leaves make sure you’re not mistaking black spots for dead leaves. Black leaves are bad, but black or brown spots aren’t. In fact, when you notice a black or brown spot on your plant keep an eye on it and over time you’ll see a new plant beginning to sprout. If after a few weeks no new leaves have sprouted then it could be more serious. Most commonly it could be because there’s not enough nitrogen in the water (perform more water changes) or it could be burn spots (turn the light down). One thing you should definitely watch out for is java fern melt, it appears rather suddenly and if left untreated it’s bad news for your tank. When this happens your plant will begin to decay quicker and almost turn to mush. The decaying plant matter is exactly what harmful bacteria need to grow and thrive. Java fern melt is most often caused by a lack of nutrition, so if you notice it you should begin using fertiliser to fix the problem. You may even notice other plants in your tank still look healthy, but this is because they’re rooted. They can pull nutrients from the substrate. The only thing java ferns can get nutrients from is the water so you have to make sure you’re keeping it nutrient rich! Secondly, java fern melt can also occur when there’s too much blue-green algae in the tank. Blue-green algae will cover your java fern making it unable to absorb nutrients from the water. If you leave this to happen it will slowly starve and die. The best way to remove blue-green algae is to clean the tank. Once you’ve done this you should turn off the lights for 3 days and stop any light from getting in. If you do this, you should kill all the algae and your java ferns should grow normally again. However, if they aren’t all killed then you may need to use stronger medication. There’s a lot of information to take in on this page so here’s a quick recap. Java ferns are plants that have sword like leaves and a brown base which are its rhizome. However, the different types of java fern deviate from this slightly. Using java ferns for betta tanks is a great choice because it gives your betta somewhere to hide as well as making him feel safer. You shouldn’t plant java ferns in the substrate. Instead, you should tie them to something and let their rhizome latch on. Java ferns need a pH between 6-7 and a temperature between 68-82°F. They prefer lower light. If you use light that is too bright it will damage them.